In business since 1986, Patriot Fence has specialized in the installation and repair of beautiful and unique fencing solutions.We work closely with each customer to provide assistance and guidance on selecting the optimal fence structure that will surround their home, business or institution and create a setting that expresses creativity and values. Our superior craftsmanship guarantees efficient and effective completion of your project. As a family owned and operated company, we truly appreciate the relationships we build with our customers, and we strive for complete satisfaction. If you are looking for help to construct your perfect fence, you've come to the right place! When you work with Patriot Fence, you're working with family. 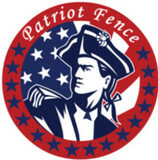 Patriot Fence, is one of the most reliable full service fence companies in your area. With over 30 years of experience in commercial and residential fencing we can help you create your dream fence! We specialize in a broad range of fence styles and work hand-in-hand with you the home owner to bring you a well-rounded approach. We follow the philosophy that each fence is unique and provide each customer with a personalized plan to fit the landscapes’ specific needs. 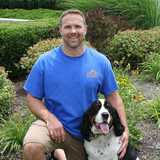 Buckeye Safe Pet, LLC services all of Northwest Ohio. We are Ohio's Premier Pet Containment service. We help you keep you dogs within the boundaries of your yard and are a direct competitor with other non-visible fence companies. The only difference....better service, better systems (Made in the USA) and better pricing! Let Construction Fence, LLC improve your home with premium fencing products and superior service. We take the time to ensure your fence is installed right the first time. For years Family Built Fence has provided area customers with superior service and value. From the beginning, Family Built Fence has been dedicated to offering solutions designed to fit not only your budget and schedule, but also your need for high quality workmanship. One thing that will never change is the Family Built Fence commitment to providing quality service. This has resulted in a loyal customer base that has kept coming back over the years. And, it’s the Family Built Fence staff that keeps making the difference in that regard. Our dedication to providing friendly, dependable and accurate service has been the cornerstone to their success. 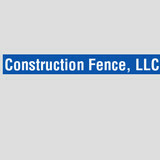 Better Builders Fence Co. LLC is a Canton, Michigan based company, family owned and operated. Proudly serving Canton and surrounding areas since 1986. We provide estimates free of charge. Whether it's a repair or a whole yard you need fenced we're here to help. Better Builders Fence Co. LLC specializes in Virgin vinyl, custom made western red cedar wood, aluminum, chain link and powder coated colored chain link fencing. We also have a full line of vinyl products including vinyl arbors, trellises, gazebos, benches, picnic tables, planter boxes, mail box posts and custom pergolas to beautify your yard. Don't see what you are looking for on our website, come to our location and take a look around our display area or come in the office to view our brochures. Adkins Fence (EST. 1987) is a family owned and operated company based on the simple philosophy of “Quality work at reasonable prices”. We stock a wide variety of material and accessories for availability, and make all of our own gates and panels to fit any height and width. We look forward to serving you! American Fence & Supply provides the residents of Toledo and its surrounding communities with a wide variety of fencing products. Whether you're in need of supplies for a wood fence or an aluminum fence, our friendly sales team is here to help. 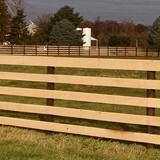 We are Northern Ohio's premier supplier of fencing products, so you can rest assured knowing that you will always receive durable, high-quality gates and fencing materials from us. Palisade Fence is a growing business in the Windsor-Essex area, specializing in residential fences and gates. The company with a simple goal in mind, to build quality fences that last and are as visually appealing as they are structurally sound. This being said a fence is an essential design structure that should compliment the surrounding landscape not just provide privacy or work as a barrier. We offer the following services for commercial and residential sectors: - Home reconditioning including false ceilings, wood renovation, glass fronts & modern home designs. - Supply, installation and maintenance of bullet proof or regular doors and glass fronts. - Installation or rehabilitation of outdoor fences. - Installation of kitchen cabinets designed according to request. We’re committed to providing you with the highest level of service, so you’ll always be happy that you chose us. Allen Brothers Fence has been a household name in Jackson and Ann Arbor, MI since 1982! With a highly experienced staff, each one of our clients is guaranteed a beautiful finished product regardless of which type of fence you choose! Family owned and operated! Our Experience Makes All the Difference.... Our installers are highly skilled and have years of experience and certifications. But, their dedication to making sure your needs are met doesn't come from that, it comes from within. And it's embraced and appreciated by all of our staff. Get to know our experienced welder! He has been our only fabricator since the doors opened in 1982! We are confident that his artistic eye, and attention to detail will leave you speechless! Whether he is repairing a basic piece of steel, or creating a work of art, his quality workmanship will prove to be unrivaled! Whether you need to secure your yard or just add some decorative flair to your landscape, fences are an integral part of a home’s exterior and curb appeal. Given their security and aesthetic importance, they need to be designed, installed and repaired correctly — luckily, fence contractors in Maumee, OH can help. From devising custom fence designs to general fence repair and maintenance, these pros will have your fencing looking fancy in no time! Your Maumee, OH fence installation and repair professional will work with you to create your ideal fence. Find a fence contractor in Maumee, OH on Houzz. 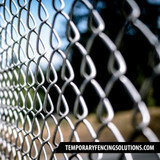 Narrow your search in the Professionals section of the website to Maumee, OH fence contractors. You can also look through Maumee, OH photos to find examples of fencing and gates that you like, then contact the professional who worked on them.